Wedding Planning 101: Check Out the Library! Statistics show that over 4 million couples will get engaged on Valentine’s Day. Wow! Four million couples will be hunting for the perfect dress, venue, caterer, decorations and more in just a few days. Four million! Perfect guy—check. Perfect ring—check. Picturesque engagement—check. Now what? If your head is spinning and you have no idea where to start planning your big day, or if you just need some inspiration, come to the Kenton County Public Library! 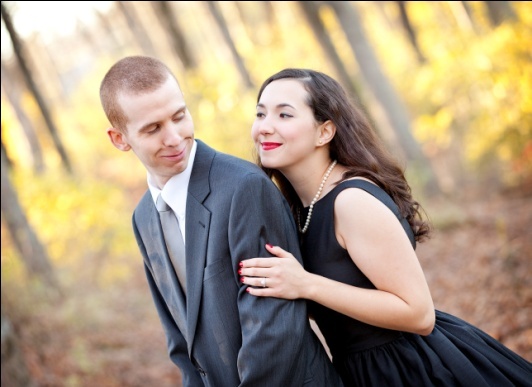 The library is an abundant source on all kinds of free wedding planning materials. I didn’t spend a penny on wedding magazines or books because I borrowed them all from the library. From books and magazines, to free databases and online services, the library had everything I needed to inspire me to plan my dream wedding this past October. Before you get started, it’s a good idea to read up on customs, common practices, and etiquette to figure out what is important to you. For me, etiquette was one of the most stressful aspects of planning a wedding. 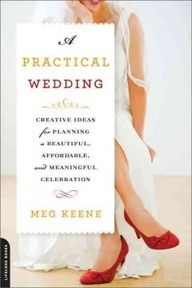 A Practical Wedding by Meg Keene helped me through sticky situations when I didn’t know what to do. It’s also a good idea (not to mention fun! 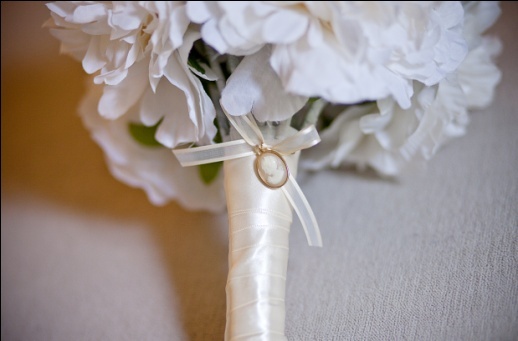 ), to read about the history of weddings and how certain traditions came to be, like wearing a white dress! You may even decide to ditch tradition and make your own like I did. Finding your Venue, Music, Photographer, etc. Don’t have access to the internet at home? Come to the library! Pop in to use our free wi-fi to do some research or use your library card to log on to one of our computers to find the perfect venue, discover a wedding band or DJ, and read reviews on catering services. It’s all about the dress! Finding the right dress should be fun, not stressful. Whether you want to go for a vintage, 1950s swing dress or a soft, romantic lace gown, you’re sure to find some inspiration in It’s All About the Dress: Savvy Secrets, Priceless Advice, and Inspiring Stories to Help you Find “The One” by Randy Fenoli. Not only will you get a glimpse of every dress style known to man, but you’ll learn about different dress fabrics and figure out the timeline for getting your dress in time for your wedding. Looking at bridal magazines is a great way to find out what’s popular in wedding dresses and hairstyles. Zinio is a free service available through the Library with which you can download the latest issues of the most popular magazines to your computer, e-reader or other device. Once you sign up with your email address (it’s free to sign up! ), they’ll automatically send you the latest issues of the magazines you want to see. Why buy magazines when you can get them for free at the library? Is there a unique color or family heirloom that you really want to incorporate into the wedding somehow? Matthew Robbins’ Inspired Weddings by Matthew Robbins will show you just how to do that. Follow the picture-lined pages of beautiful color schemes and unique designs to make a memorable space for your wedding. 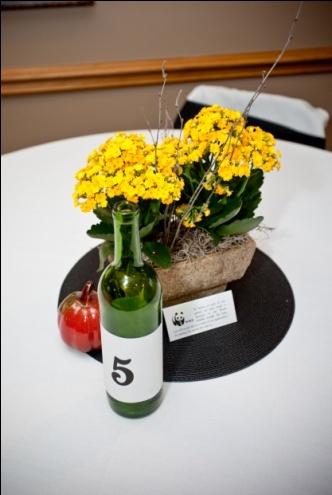 Green Wedding: Planning Your Eco-Friendly Celebration by Mireya Navarro was particularly helpful for me because I was trying to plan an environmentally friendly celebration. There are tons of great green ideas in this book that you’re sure to love. For my wedding, we took the money that we would have spent on favors and donated it to the World Wildlife Fund. Our guests thought this was a really unique idea and loved that they weren’t stuck with a favor they didn’t really want. Having trouble thinking of the perfect vows for your wedding? 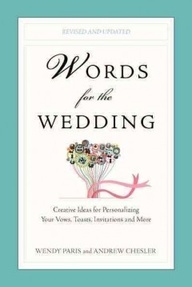 Check out Words for the Wedding by Wendy Paris & Andrew Chesler for some inspiration. Even though I didn’t write my own vows, I learned a lot about the importance of wedding vows and read some really inspiring ideas in the book. It’s full of quirky and touching quotes, lyrics and poems that are sure to inspire you. This book also has lots of information on how to personalize your wedding with words, too. I personalized my wedding program with a quote from one of my favorite songs and our guests loved the idea! There are a lot of details that go into planning a wedding, but there’s no need to spend a lot of money researching all of the ways to pull it off. Check out the library’s Pinterest board for books and links to even more inspiration and ways that we can help you save money at the library! What is the most unique thing you have ever seen at a wedding? Do you have a favorite resource?